memory-robbing dementia of Alzheimer’s disease. 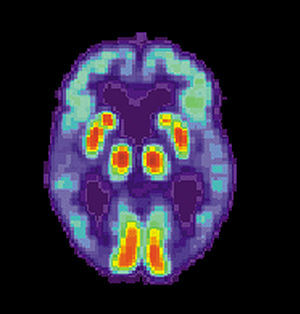 protein fragment that forms the hallmark plaques in the brains of Alzheimer’s patients. that typically strikes people their 70s and 80s. New pharmacological strategies for treatment of Alzheimer’s disease: focus on disease modifying drugs. Salomone S, Caraci F, Leggio GM, Fedotova J, Drago F.
University of Catania, Viale Andrea Doria 6, Catania, Italy. Br J Clin Pharmacol. 2012 Apr;73(4):504-17. doi: 10.1111/j.1365-2125.2011.04134.x. with specific cut off values validated in clinical practice. fundamental understanding of AD pathophysiology and biology. Diagnostic criteria applicable to presymptomatic stages of AD have now been published. Rare genetic variant suggests a cause and treatment for cognitive decline. Almost 30 million people live with Alzheimer’s disease worldwide, a staggering health-care burden that is expected to quadruple by 2050. Yet doctors can offer no effective treatment, and scientists have been unable to pin down the underlying mechanism of the disease. Research published this week offers some hope on both counts – few people carry a genetic mutation that naturally prevents them from developing the condition – 0.5% of Icelanders have a protective gene, as are 0.2–0.5% of Finns, Swedes and Norwegians. Icelanders who carry it have a 50% better chance of reaching age 85, are more than five times more likely to reach it 85 without Alzheimer’s. The mutation seems to put a brake on the milder mental deterioration that most elderly people experience. Carriers are about 7.5 times more likely than non-carriers to reach the age of 85 without major cognitive decline, and perform better on the cognitive tests that are administered thrice yearly to Icelanders who live in nursing homes. an extreme form of the cognitive decline seen in many older people. inherited forms of Alzheimer’s that strike in middle age. In the brain, APP is broken down into a smaller molecule called amyloid-β. 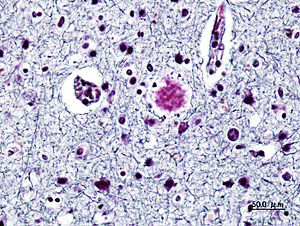 Visible clumps, or plaques, of amyloid-β found in the autopsied brains of patients are a hallmark of Alzheimer’s. or a consequence of other biochemical changes associated with the disease. The latest finding supports other genetics studies blaming amyloid-β, according to Rudolph Tanzi, a neurologist at the Massachusetts General Hospital in Boston and a member of one of the four teams that discovered APP’s role in the 1980s. If amyloid-β plaques were confirmed as the cause of Alzheimer’s, it would bolster efforts to develop drugs that block their formation, says Kári Stefánsson, chief executive of deCODE Genetics in Reykjavik, Iceland, who led the latest research. He and his team first discovered the mutation by comparing the complete genome sequences of 1,795 Icelanders with their medical histories. The researchers then studied the variant in nearly 400,000 more Scandinavians. This suggests that Alzheimer’s disease and cognitive decline are two sides of the same coin, with a common cause — the build-up of amyloid-β plaques in the brain, something seen to a lesser degree in elderly people who do not develop full-blown Alzheimer’s. A drug that mimics the effects of the mutation, might slow cognitive decline as well as prevent Alzheimer’s. 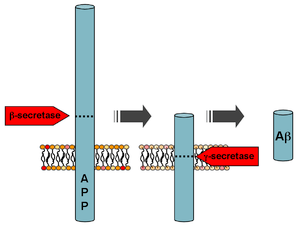 and the alteration is enough to reduce the enzyme’s efficiency. precise time when this amyloid toxic effect could still be modified”. “If this effect needs to be blocked as early as possible in life to protect against Alzheimer’s disease, we will need to propose a new design for clinical trials” to identify an effective treatment. The results demonstrate that whole-genome sequencing can uncover very rare mutations that might offer insight into common diseases. Jonsson, T. et al. Nature http://dx.doi.org/10.1038/nature11283 (2012). Kang, J. et al. Nature 325, 733–736 (1987). Goldgaber, D., Lerman, M. I., McBride, O. W., Saffiotti, U. & Gajdusek, D. C. Science 235, 877–880 (1987). A massive scientific effort has found five new gene variants linked to Alzheimer’s disease. The undertaking involved analyzing the genomes of nearly 40,000 people with and without Alzheimer’s. This study was undertaken by two separate research consortiums in the U.S. and in Europe, which collaborated to confirm each other’s results. 32% of the genetic risk. 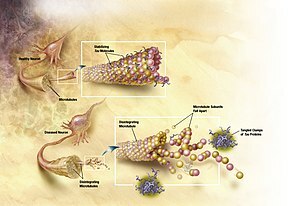 Alzheimer’s researchers and drug companies have for years concentrated on one hallmark of Alzheimer’s disease: the production of toxic shards of a protein that accumulate in plaques on the brain. the immune system’s role in protecting against the disease. the brain’s ability to prevent the buildup of plaque. 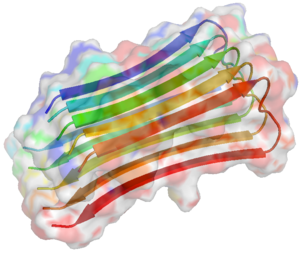 gobbling up and eliminating the plaque-forming toxic protein, beta amyloid. As a result, Alzheimer’s can be staved off or averted. People with the mutated gene have a threefold to fivefold increase in the likelihood of developing Alzheimer’s disease in old age. Dr. Julie Williams’s, Cardiff, Wales (European team leader) report identified CLU and Picalm. A second study published in Nature Genetics, by Philippe Amouyel from Institut Pasteur de Lille in France, pinpointed CLU and CR1. The greatest inherited risk comes from the APOE gene, discovered in 1993 by a team led by Allen Roses, now director of the Deane Drug Discovery Institute at Duke UMC, in Durham, North Carolina. The findings “are beginning to give us insight into the biology, but I don’t think you can expect treatments overnight,” Dr. Michael Owen (Cardiff, Wales) said. Instead, the genes will show a mosaic of risk, and “the key issue is what hand of cards you’re dealt,” he said. BHCE genetic data combined with brain imaging using agent florbetapir connects the BHCE gene to AD plaque buildup. BHCE is an enzyme that breaks down acetylcholine in the brain, which is depleted early in the disease and results in memory loss. There has been a long history of failure of drugs to slow down the progression of Alzheimer’s. Regression of the plaques has not corresponded with retention of cognitive ability, which has been behind the arguments over beta amyloid or tau.